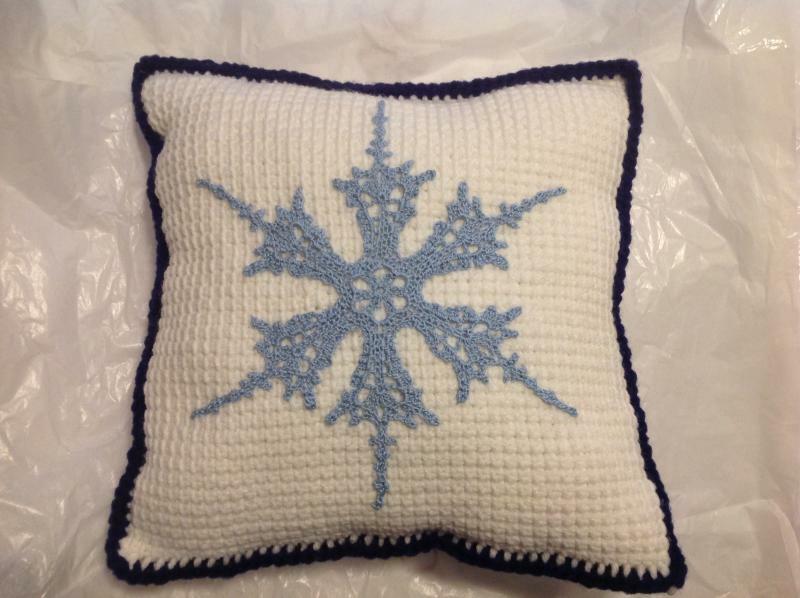 I sewed a snowflake to a pillow for my MIL for Christmas. Had the idea all year and wasn't sure how to appliqué it correctly or what kind of pillow fabric to have..turns out, it was nearly impossible to get the size and color and fabric I wanted! My husband said why don't you just make one, so I did! I whipped out the Tunisian hook and did a simple stitch on the front and purl stitch on the back and stuffed it and made it the colors I wanted. Didn't have to worry about the stitches pulling of showing like they would on cotton because, it was yarn! 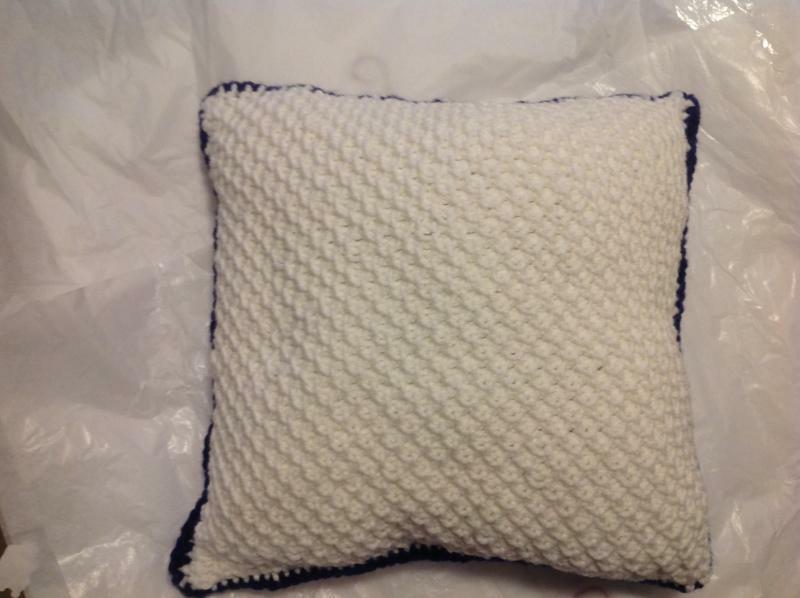 I'm very proud of my little pillow and she loved it! That is really pretty. I love the light blue you used. You have every reason to be proud of it--it's beautiful!!! It is beautiful! The snowflake is so delicate looking, just like the real thing. Perfect!! It is beautiful and a fine job you did. 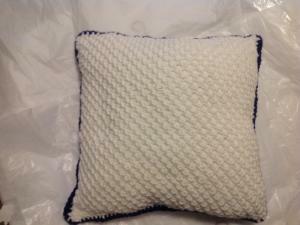 You did a beautiful job, lovely pillow! That is fantastic! Very elegant.